In previous editions of Revolutionary Perspectives we have examined theories which deny that a transitional period between capitalism and communism, as outlined by Marx in his Critique of the Gotha Programme, is necessary.1 We have argued that a transition to communism can only occur after the working class has taken political power since islands of communist production cannot exist within capitalism. The contradictions of capitalist production, however, continually sharpen and hence make the system increasingly unstable with the possibility of revolution or global war ever more likely. Our explorations of theories which deny the need for a transition period allow us to conclude, firstly that they are a rupture with historical materialism and consequently utopian, and secondly that, if such schemes were ever implemented they would result in the complete failure of the revolution. Further theories, which have become influential in recent years, hold that capitalism is negating itself through its own internal developments, and we could arrive at a post-capitalism system of production through these developments alone. An overthrow of the system by the working class therefore becomes unnecessary. These ideas hinge on the idea that the law of value is being undermined and commodities are tending towards a value of zero at which point they could be distributed free. Paul Mason, for example, claims that this is occurring via the internet with free software and information systems such as Wikipedia.2 The reduction of the value of commodities towards zero was also theorised by Toni Negri, a leading theoretician of the Italian Autonomist movement.3 4 The class struggle, he argued, has forced capitalists to replace living labour with machinery thereby reducing the value of commodities. Production under capitalism, he claimed, was no longer value production.5 This makes the replacement of capitalism fundamentally a political project and eliminates the need for a period of transition in which value production is ended. The Trotskyist academic, Hillel Ticktin, who edits and writes in the journal Critique, also argues the law of value is being negated by contemporary capitalism which he sees as being in a state of decline. He argues that a state of decline of one system of production is necessarily a period of transition to a new replacement system of production. We are thus at present in a period of transition where the capitalist system is being invaded, and negated, by socialist or proto-socialist forms. He draws the undermining of the law of value to its logical conclusion, namely that capitalism is itself creating socialist structures over which the proletariat will have to establish control through political revolution to create communism. If we are now in a period of transition then a future period of transition after proletarian political power has been achieved is no longer necessary. Ticktin also concludes that generalised war is now impossible because of the global integration and socialisation of production. This makes resistance by the bourgeoisie much more difficult and the replacement of capitalism by socialism easier. It becomes essentially a political task of establishing workers’ control over what capitalism has created. This is reminiscent of the claim, made over a century ago, by the social democrat Hilferding, who argued that by 1910 finance capital had socialised the system of production to the extent that socialism could be established by workers taking control of 6 Berlin banks.6 If we are now in a transitional period to socialism the creation of communist society becomes much easier. Ticktin’s texts on capitalist decline and transition have been written over four decades and the theory was worked out before the collapse of the Soviet Union. It is not unreasonable to expect some contradictions, and what follows is a general synopsis giving more weight to the recent texts. Throughout his writings Ticktin sees present-day society as one in transition to socialism: a transition analogous to that from feudal to capitalist society. Within feudalism money payments started to dissolve the feudal structure and produced isolated pockets of wage labour in the feudal towns, this progressed over centuries until wage labour and commodity production became the dominant form of production and the feudal political structures were overthrown. Ticktin argues that from the time of the Russian Revolution in 1917, capitalism has been in a period of decline, a decline which is indicated by the prevalence of monopolies, of finance capital and of imperialism. At the same time socialist forms have been invading capitalism and circumscribing and negating the law of value. This means that wage labour and thus value production is being undermined. This defines the general state of decline of capitalism, but it is a decline which is not simply a question of the system producing greater and greater contradictions within itself. Instead, Ticktin insists, it is indissolubly linked to the transition to a new society.7 In an article in 2017 he claims there are now no more intermediate stages to socialism.8 What are these socialist forms which are undermining capitalist relations? Ticktin argues that after World War Two capital became more socialised through measures such as nationalisations, free education and health care, increased regulation, planning, state participation in industry and so on. These measures represented a negation of the law of value. Within the Soviet Union (USSR) wage labour did not properly exist. Capital was nationalised and planning controlled production without the capitalist market. He claims that capitalism had been overthrown in 1917 but the working class had lost power so elements of capitalism co-existed with elements of socialism.9 The USSR was therefore a neither-nor society, neither capitalism nor socialism. Ticktin argues the law of value in the USSR was more restricted than in western capitalism so the USSR was also a transitional society. The problem with all this is that the so-called socialist measures, such as nationalisations and the welfare state and so on, have been reversed or partly reversed in the period from the 80s to today. In addition the USSR has collapsed and international capital and the law of value rule throughout its former territories – something Ticktin denied could occur.10 These developments would, following Ticktin’s argument, presumably produce a reinforcement of the law of value rather than undermine it. The more recent texts take no account of these developments. Instead they claim we are still in a transition and capitalism is more unstable than ever, not now because of invading socialist or proto-socialist forms and the negation of the law of value, but because the USSR has collapsed and the Cold War has ended. The Cold War was, Ticktin asserts, the glue which held western capitalism together alongside the threat of worse conditions under so-called communism which disciplined of the working class.11 The argument has changed from one based on changes in the production relations, that is the infrastructure of society, to one based on ideology that is located in the superstructure of society. However, the law of value, we are told, is still being undermined but the principal forces doing this are now finance capital and monopolies. These can hardly be described as invading forms of socialism! What has happened to the invading socialist forms? The so-called socialist forms which Ticktin sees as undermining the law of value were never socialist measures, and nor were they what he describes as “the invading socialist society”12 which negated the law of value. The reforms after World War Two were entirely compatible with capitalism in the post war period. Nationalisation brought about centralisation and restructuring of sectors of the national capital and produced state capitalist organisations. Planning was on a national scale, thereby eliminating inefficiencies in the national capital, while the welfare state ensured capital as a whole, private and state capital, could depend on healthy and educated workers. These measures were part of a restructuring of capital to centralise and increase efficiency on a national plane. Capital was able to grant improvements to workers’ living standards because of the higher profitability of capital in the post war period, a profitability which was brought about by the previous devaluation and destruction of constant capital in the War. One of the primary contradictions of value production is that between the use-value of a product and its exchange value. Ticktin seizes on this as the expression of the law of value. He informs us that the law of value describes the movement of the poles of the contradiction between use and exchange value.17 Defining the law of value in this way allows him to argue that the invading socialist forms, considered above, are in a dialectical relationship with value production and they represent a pole of contradiction, even if they are not fully socialist. But how precisely a movement of ‘poles of contradiction’ can be in decline is a mystery. However, what he appears to mean is that the quantitative relationship between value production and non-value production is changing in favour of non-value production. Ticktin points to significant sectors of the economy which are no longer value producing, foremost among these is finance capital. Value, he tells us, has evolved into finance capital18 and further finance capital, creates profits by the destruction of use values.19 Other sectors of the economy such as healthcare, education and defence all operate outside the law of value. These, he claims, negate the law of value20 and consequently the law is in decline. 1. See Revolutionary Perspectives 04 The Period of Transition and its Dissenters. 2. P Mason’s book Post Capitalism is critiqued in Revolutionary Perspectives 7 Post-capitalism via the Internet: Dream or Reality. 3. 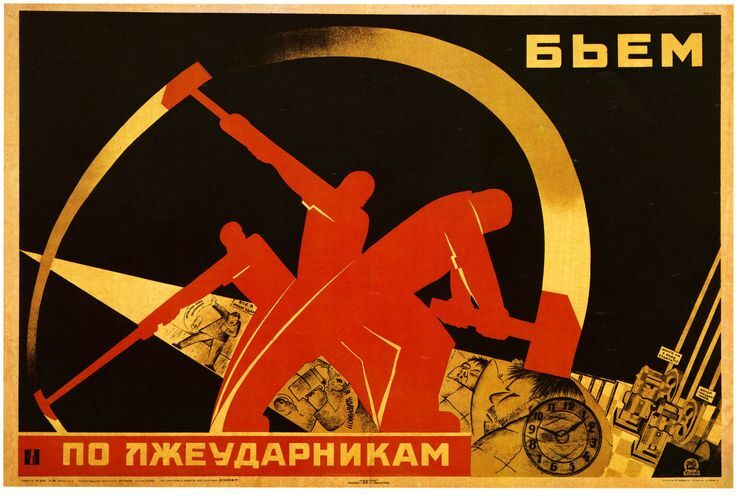 See Autonomism – Cutting the Ground from Under Marxism in Revolutionary Perspectives 10. 4. And Autonomism – Many Flowers Little Fruit in Revolutionary Perspectives 11.